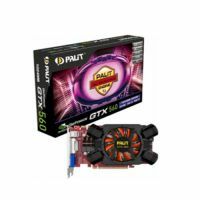 PALIT GTX560 2GB 256 BIT D5 - цена. The brand new Turbofan Blade Cooler of Palit GeForce® GTX 560 2GB gives you excellent thermal dissipation performance, meanwhile, stay incredibly silent. With 2GB memory on board, Palit GeForce® GTX 560 provides outstanding performance even under extreme resolution. Palit GeForce® GTX 560 2GB makes you hard to go back to anything less!